The Friendly Society Pharmacy are proud to be the only authorised stockist of the full range of Estee Lauder products in Bundaberg for the leading cosmetic and fragrance brand. If you would like to try the Estee Lauder products, you can sit with one of our beauty therapists who will talk you through your options. We have a range of beautiful floral, fruity, citrus, warm & woody perfumes, body lotions, men’s colognes and more. Discover our full range of cosmetics, lipsticks, mascaras, foundations and skincare. The Friendly Society Pharmacy are proud to be the exclusive Clinique stockists in Bundaberg for the leading cosmetic brand. If you would like to try the Clinique products, you can sit with one of our beauty therapists who will talk you through your options. We have a range of signature Clinique Fragrance, including Happy, Aromatics and more. Achieve effortless yet effective beauty with our exclusive range of iconic Clinique makeup & skincare. The Friendly Society Pharmacy are proud to be the exclusive Chanel stockists in Bundaberg for the leading cosmetic and fragrance brand. If you would like to try the Chanel products, you can sit with one of our beauty therapists who will talk you through your options. Come in and sample our range of Chanel perfumes and fragrances for women and men including the incomparable Chanel N° 5. The Friendly Society Pharmacy are proud to be the exclusive Shiseido stockists in Bundaberg for the leading cosmetic and fragrance brand. If you would like to try the Shiseido products, you can sit with one of our beauty therapists who will talk you through your options. 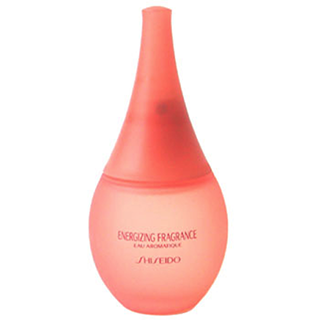 Choose from our exclusive range of Shiseido perfumes & fragrances. Shiseido has 130 years of cutting-edge technology behind their products which means the highest quality skincare & makeup. Select from our wide range of luxurious Shiseido skincare products.